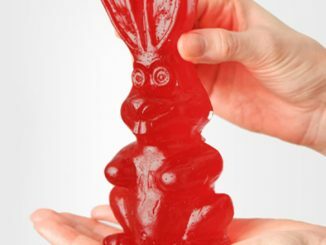 For all you junk food lovers and candy fanatics, here’s a challenge that may be even too much for you. 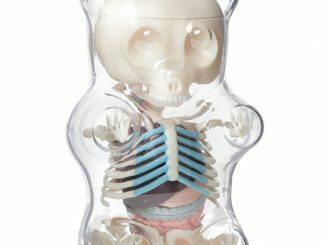 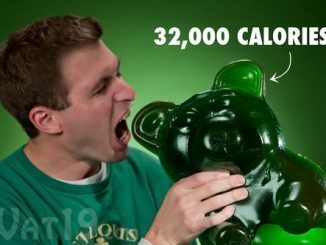 The World’s Largest Gummy Bear provide some serious sugar and calories. 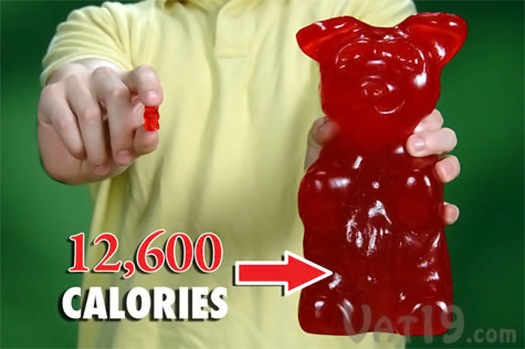 The giant gummy bear weighs 5 pounds and has an amazing 12,600 calories. 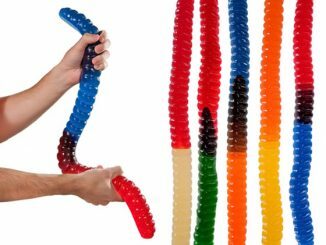 I hope you have a good dental plan because you are going to say good bye to your teeth after trying to finish off one of these monsters! 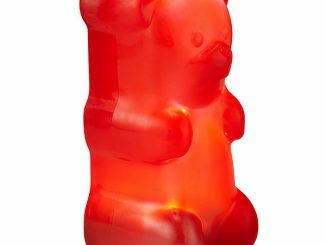 You may think it is impossible to finish off one of these giant gummi bears, but fortunately you don’t have to do it in one sitting. 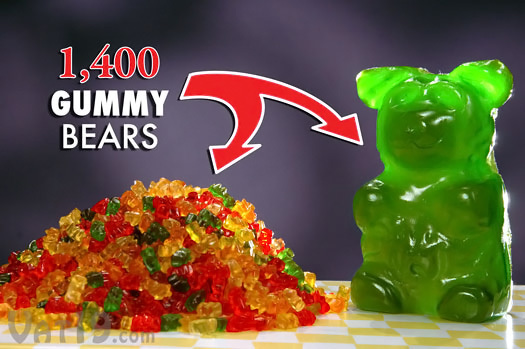 According to the description, it will last up to a year if you keep in in a sealed container or bag between snackings. 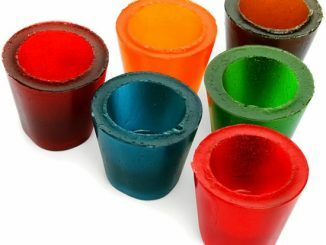 There are many delicious flavors to choose from, but I think the Astro is worth the extra cost because it features a combination of 3 flavors similar to Neapolitan ice cream, so you can enjoy some variety. 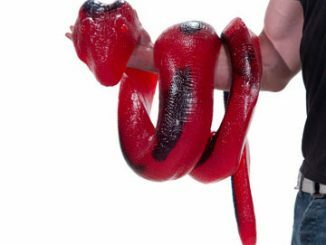 Its monstrous size is only matched by its enormous taste. 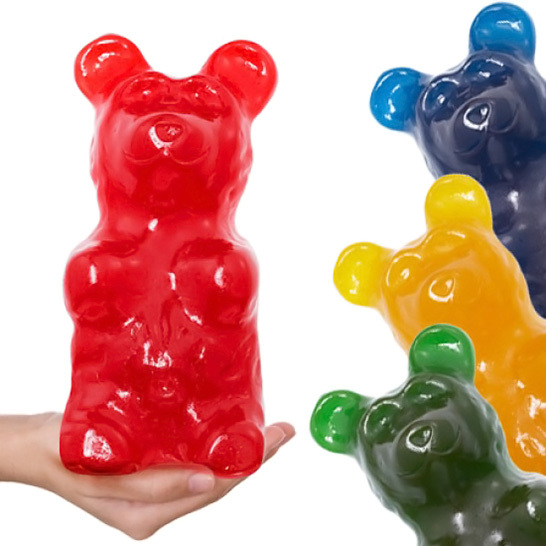 The World’s Largest Gummy Bear tastes just as delicious as its pint-sized counterpart and is Hand-made in the USA. 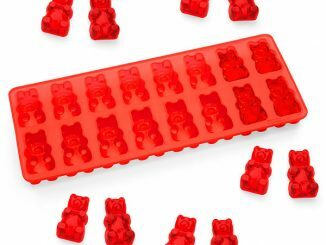 Available in many flavors: red cherry, blue raspberry, bubblegum, green apple, pineapple, orange, and astro (a combination of red cherry, lemon, and green apple). 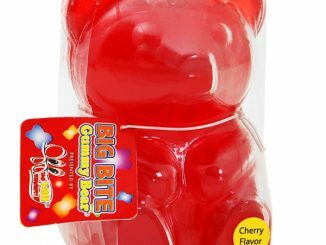 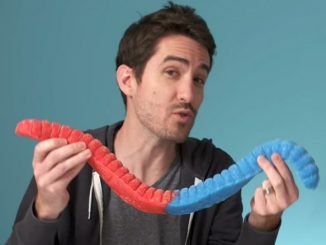 You can purchase the Worlds Largest Gummy Bear in a variety of flavors from Vat19 starting at $29.95. 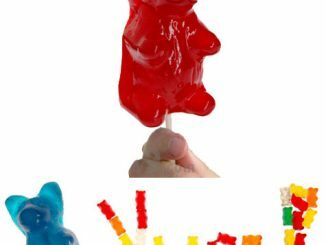 If that is just too crazy big and potentially messy, you can buy a Giant Gummy Bear on a Stick starting from $9.95 at Vat19. 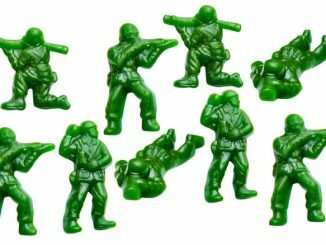 If you want a smaller gummy treat, stick with the Gummy Army Men or Super Mario Gummies.